We’ll toss strings of Madi Gras beads to that! Rotating its theme twice a year, the non-descript alleyway bar of Junior has switched up again. This time around, the elusive watering hole brings New Orleans and its trombone-blaring, beaded necklace-tossing and gumbo-slurping mischief to its cosy 10-seater abode. But beyond the city’s rowdy antics, New Orleans boasts a history of cocktails traced back to the late 1830s. We’re talking about the boozy suspects of Sazerac, Brandy Milk Punch and Ramos Gin Fizz that are among the selects to have endured through time. Junior lets you have a little taste of the New Orleans’ voodoo magic once you step into its abode. 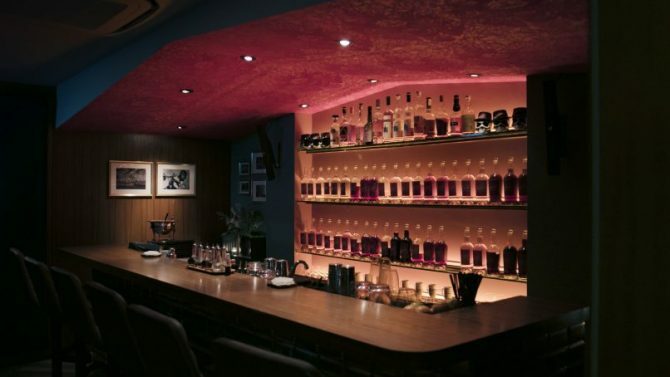 Like a spiritual temple, the bar is dimmed to the lowest, with soft lights illuminating the statement ceiling’s etchings of twining gold-tinted vines. Black and white visuals, depicting the city’s landmarks, adorn these walls, and from the bar shelf, several top hat-touting skull heads grinned out at us. Jazz music fills the air. 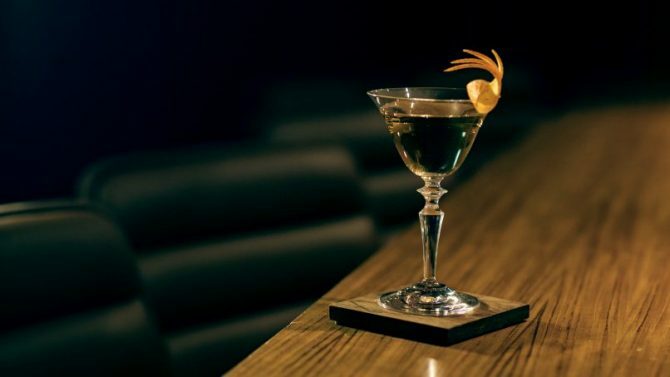 The cocktail menu is extensive, where you’ll find a lineup of 21 cocktails, featuring some New Orleans classics with a twist, alongside the bar’s own concoctions. For something uniquely New Orleans, there’s the Ramos Gin Fizz, the city’s most famous gin-based drink that boasts a light and creamy floral profile, thanks to the addition of orange flower water. Sazerac comes in close association with the big city as well. Here, Junior does the Truffled Sazerac with brandy and rye whisky, before making it even more lethal with absinthe and finally, truffle bitters for a nutty finish. The bar’s house originals also stand out in their own right, particularly The Baron. 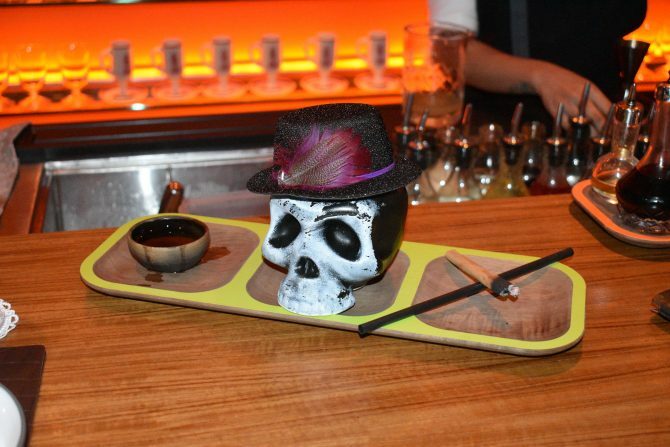 Inspired by an actual voodooist, the cocktail of Diplomatico Reserva Exclusiva Rum, coffee and Averna amaro is contained in a skull, and presented alongside a shot of Plantation 18-Year-Old Haitian Rum. The richness of coffee hits the taste buds before releasing a refreshing tropical finish due to the presence of mint and pineapple syrup. Named after the leader of a Mardi Gras parade, the Big Chief stands a lighter contrast to the brooding The Baron. 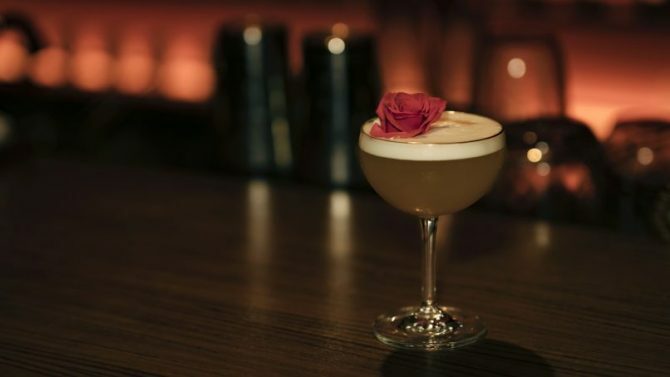 Here, you’ll find this drink topped with a flower to mirror its floral notes from the Earl Grey tea and teapot bitters, melding in harmony with Laid’s applejack and Johnny Drum bourborn base. The cocktail is sweet and definitely serves as a drinkable desserts. 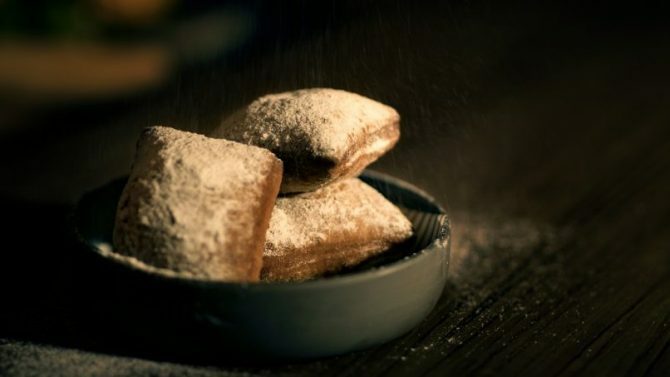 Keeping to theme, bar nosh is Louisiana Creole cuisine, where you’ll be kept satiate with the likes of Dirty Rice Balls with Pimento Cheese Dip ($10) Fried Okra in Cajun spice served with Old Bay Aioli, ($8) and custard-stuffed Beignets ($12), covered with powdered sugar ($12). All cocktails are at $25 each.